ESEA Boosting | CSGO ESEA Boosting by Rank G players. Get your dreamed Esea Rank with our ESEA Boosting only by professionals boosters with Rank G.
Our ESEA boost is provided by professional players. We offer ESEA Rank Boosting for the cheapest prices among major boosting websites. We have over 30 boosters with ESEA Rank S/G/A+ on their main accounts working under contract. That guarantees a 100% legal esea boosting service in really short time. We usually starts every esea boost order within 1h after purchase. Trust in our 5 years experience! ESEA Boosting - How it works? Choose your Boosting Option, select your Current Level and Desired Level or Current Elo and Desired Elo. After succesful payment Click “Go back to the seller’s page” and you will be redirected back to our form, where you should give us login and password to your accounts or in case of Duo/Lobby boost only contact information. 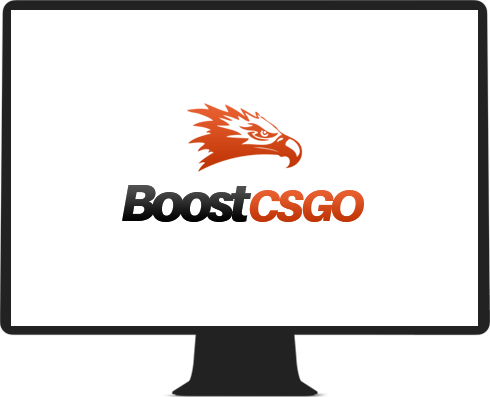 Solo Boost - We will play from your account(your accounts informations like steam and ESEA will be required). Choose your Current ESEA Rank and Desired ESEA Rank. After making the payment Click “Go back to the seller’s page” and you will be redirected back to our form, where you should give us ESEA login, ESEA password Steam login and Steam password to your accounts and contact info. What are requirements to purchase ESEA Boost? You must have ESEA account with activated subscription. It depends on a few things that we have no control under such as the size of your order and your ESEA MMR. We usually do 1-2 ranks/8-12 win per day excluding Rank B and higher ranks. No. Our boosters are skilled players who don't need cheats to complete the order. That's why this is 100% legit. Of course not! You can't get ban for getting boosted, because we are 100% safe and don’t use cheats or any other third-party software. Playing ESEA games during boosting service is prohibited and can end in cancellation of your order without refund. Remember that if you are about to cheat us (ex. charge back the payment) we are reporting your account to Valve/ESEA support. That leads to permanent ban of your account. Really quick and clean service. I really recommend them. They were easy to deal with and did what they said they were going to do. There's a lot of scammers out there so you need to be careful with who you can trust, and there was never an issue with these guys. Our boosters are not random guys! They are ex-pro players with many years of experience who can boost you up from silver to the ESEA Rank A+ in a really short time.